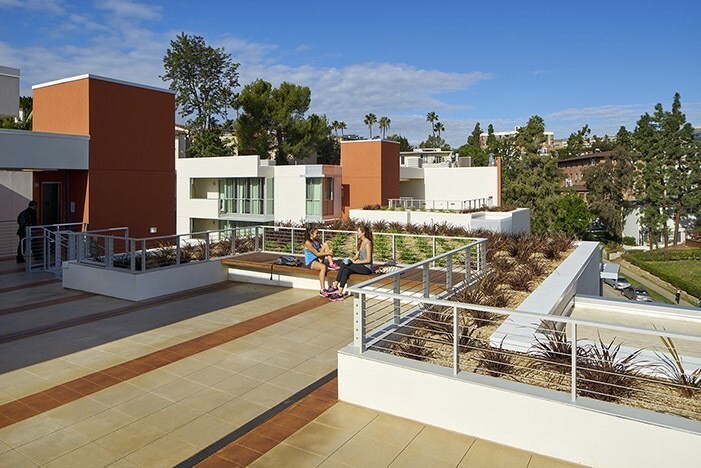 UCLA Housing & Hospitality Services offers off-campus housing for undergraduates, graduate students, students with families, faculty, and visiting scholars throughout Westwood and the West Los Angeles area. Visit the Guide to Green Living for tips on how to live a more sustainable lifestyle. University Apartments South Residents’ Association promotes sustainability through their Green Coordinator, who puts on programs and provides resources on sustainability within UA South. University Apartments partnered with LADWP in Summer 2013 to replace refrigerators and toilets with more efficient units. 1,260 new energy efficient refrigerators were exchanged for existing units 10 years or older and have the potential to save residents $112 per year. 4,760 toilets at 1.6 gallons per flush (gpf) are on track to be replaced with 0.8 gpf toilets, with an estimated savings of 4 million gallons of water annually. The ENGAGE Project: In an effort to support the mission of the University by providing a venue for a living laboratory, UCLA Department of Electrical Engineering and the Institute of Environment and Sustainability collaborated with UCLA H&HS’ University Village apartments to investigate how real-time energy consumption feedback can be used as an effective tool for energy conservation.